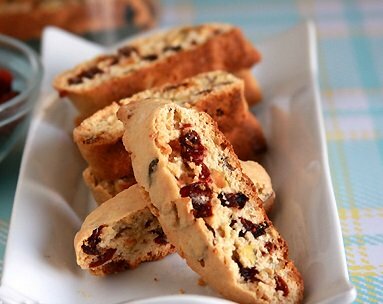 These spicy Italian cookies are the perfect accompaniment for cocoa or coffee during the holiday season! 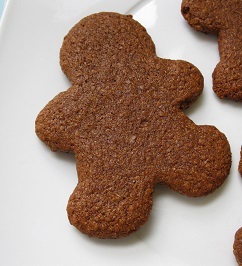 Baking them will fill your home with the scent of gingerbread. 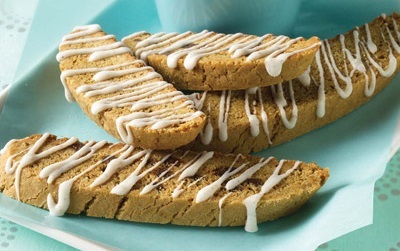 Tips and Tricks for the ultimate gingerbread biscotti. Line cookie sheet with parchment paper or a Silicone Baking Mat for easy cleanup. These really benefit from some icing. 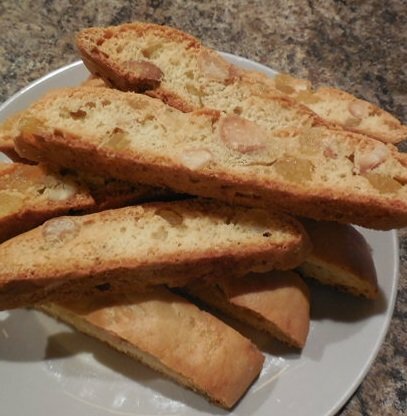 Try them with lemon drizzle, made with vanilla almond bark and lemon extract. In a large bowl, combine butter, sugar, brown sugar, ginger, cinnamon, nutmeg and cloves, beat at medium speed, scraping bowl often, until well mixed. In another bowl, whisk together flour and baking powder and salt, add to liquid mix and beat at low speed until well mixed. Place candy coating into small bowl. Microwave 1 minute; stir. Continue microwaving, stirring every 15 seconds, until melted and smooth. Stir in 1/4 teaspoon cinnamon. 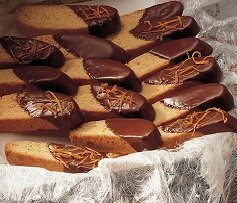 Place cookies onto waxed paper; drizzle with melted candy coating. Let set at room temperature until coating is firm. When coating is cool and hard, store in airtight container to maintain freshness.